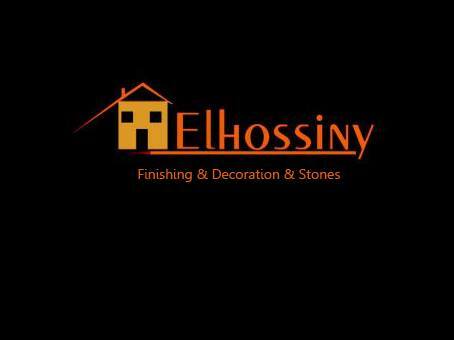 Elhossiny company that specialist in the work of decorations and finishes. And we are implementing a new concept of internal design for flats,villas,cafes and malls.We also supplying all kinds of marble stones addition to all acts of landscape & sculpture, painting works & carved wooden pergolas and GRP. We always strive to provide new thinking in the world of sophisticated finishes and decoration in terms of creativity and innovation where we have skilled labor under the supervision of specialized engineering technician at the highest level to give you the level of luxury and sophistication. Ancient Egyptian showed all over the world a great civilization,we also on their steps. So since 2010 our company joined to the nature and the beauty,working in this sector with various products in various finishes exterior and interior interfaces of buildings. Our stones which allow us to offer a vast selection and our company offers an array of natural stones products from its own quarries all around Egypt.All our marble from our factory. We will show the world our products of nature stones,not only in Egypt and Arb world,but also in all over the world . For your convenience,use our products of natural stones for houses and buildings,interior and exterior interfaces,enjoy with beauty appearance of nature stones,high quality,perfect prices and any quantities.We differ from others, we can export our products easily,quickly and safty. 69 H Eldghat ela'aly ـ First gateـ Hadbet elaharam.